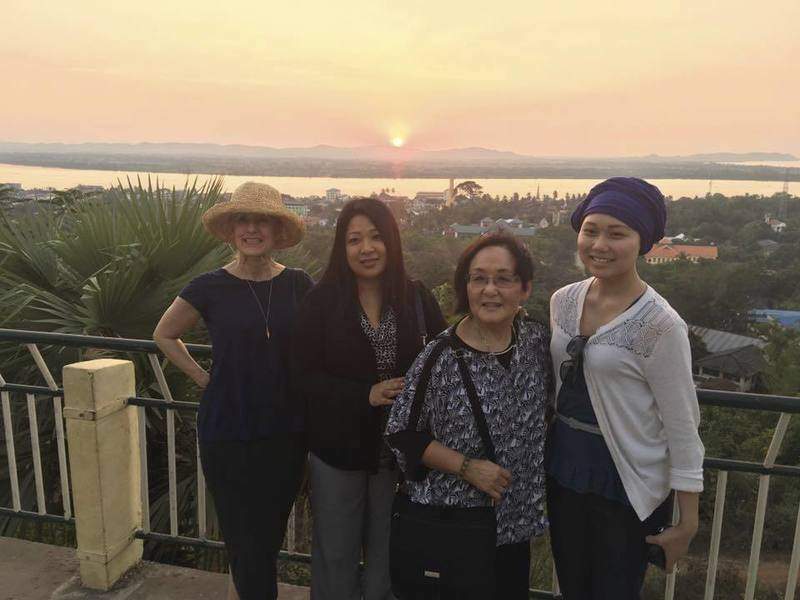 Courtesy photo Claire Ewart, left, Minn Myint Nan Tin and Dorothy Kittaka, members of the Sister Cities delegation, enjoy the view in Mawlamyine, Myanmar, with guide Ma May Thit Lwin earlier this month. When a group of exchange students from Mawlamyine, Myanmar was invited to the stage at a Sister Cities gala dinner Feb. 18, Mehn Joan Thamah spoke on behalf of the students to invite the dinner guests to their city more than 8,000 miles away. The invitation is extended to all residents, as Mawlamyine now has a closer tie to Fort Wayne. Last year, Mayor Tom Henry and Mon State Development Affairs Minister Dr. Toe Toe Aung signed a Friendship City agreement. After four years of diplomacy, the move marks a step closer to establishing sister cities relations between the two. Mawlamyine is the capital of Mon State and located on the Thanlwin (Salween) River delta in southeastern Myanmar (formerly known as Burma). Interestingly, Mawlamyine was once known as "Little England" thanks to its large Anglo-Burmese community in the British colonial era. This is something Fort Wayne can relate to; the Summit City is also known as "Little Burma" for its large Burmese population. Another shared value is that both cities appreciate diversity. While Mawlamyine is home of the Mon, different ethnic and faith groups are much visible in the city. Additionally, at the heart of the Buddhist Mon majority, the city is also home to several churches, mosques and Hindu temples. Early this month, I went on a trip to Mawlamyine along with Fort Wayne Sister Cities delegates Thomas Herr, Claire Ewart, Dorothy Kittaka, Mark Ulmschneider and Mary Encabo. Local leaders from more than 20 civic organizations rushed to meet with the delegation with much excitement and hope. We could envision many possibilities to benefit both communities. Beyond the education and cultural exchange, the endless view of rubber plants, an urgent need for water purification and the high demand for solar power are a few areas the Fort Wayne business community might be interested in exploring further for opportunities to set foot in Asia. This main trading center of southeastern Myanmar has an airport, a rail station, cross country roads and a busy seaport. 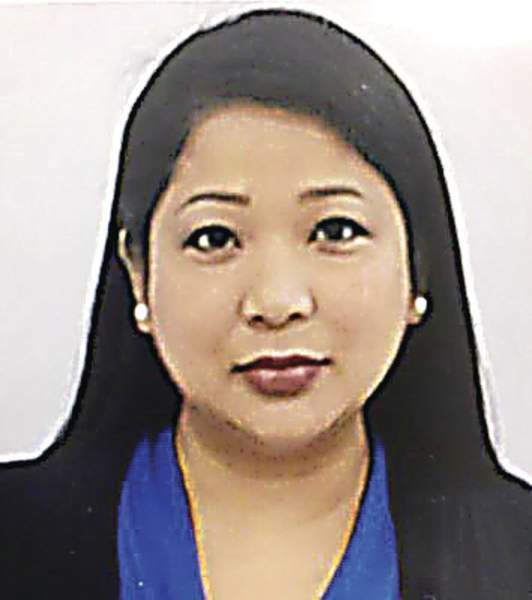 The recently opened Kyauktan Industrial Zone is an indication that Mawlamyine’s newly developed business atmosphere has much potential to offer to Fort Wayne-based multinational corporations. Manufacturing plants are only allowed in industrial zones; current tenants in that zone are in production of zinc barbed wire, textiles, gold purification, ready-mix cement, food and drinks, ice, shoes, furniture, plastic and seafood storage. Many U.S. corporations, such as Ford and Chevrolet, have already settled in other industrial zones throughout the country. President Barack Obama’s executive order to end economic sanctions against Myanmar last October also made it easier for U.S. companies and financial institutions to do business in Myanmar. There will be a lot more U.S. businesses in Myanmar as a remote base to enter the rising Asian market. The only hesitation from the business community is the concern of political stability. While the country has been facing several challenges during its democratization process, the nation’s most powerful democratic icon, Daw Aung San Suu Kyi, is now in charge of the new government. With the Burmese military refusing to give up control over several key positions in the administration, the new civil government is operating in limited authority. It is true that some northern and eastern border regions are still unstable. But Mon state is at peace, and its capital has a long history of stability. The people of Mawlamyine are starving for long-overdue development and are thrilled to have friends in the West. Whether it is for educational exchange, business opportunities or just for a visit, Mawlamyine is a safe place. Both Myanmar and U.S. ambassadors have supported the process and welcomed the effort of Fort Wayne Sister Cities to strengthen the relationship between the two cities. During our visit to Myanmar’s new capital, U Mahn Win Khaing Than, speaker of Myanmar’s upper house of parliament, also expressed his appreciation of this initiative. Support from both communities is truly heartwarming. The first group of exchange students between Mawlamyine University and IPFW has firsthand experience of such hospitality. Five students and a professor from Mawlamyine recently visited Fort Wayne, and three IPFW students are on their mission to explore Mawlamyine. Besides all the business relationships, Fort Wayne residents now have an additional vacation destination in the East. Although Mawlamyine is off the tourist trail for world travelers, fishing boats across the Andaman Sea, seagulls on the Thanlwin river bank, gigantic statues of Buddha, ancient colonial buildings and churches, and the country’s food would give astonishing experiences for travelers from Fort Wayne.